Jose Quintana (SP - CHC) The Cubs' lefty earned his second quality start and more importantly his third win in the 3-0 win over the Brewers Saturday. Quintana went seven innings, allowing no runs on just two hits while striking out seven and walking one. The outing lowered his ERA to 5.74, which is an indicator to the type of start he is off to. The lone walk was an encouraging sign, as his BB/9 was over 5 heading into Saturday's start. To find success, the strand rate is going to have to come up from 62%, or he will continue to get into trouble. Saturday was a promising step for what the rest of the season could hold, but the window to buy low could be closed. David Peralta (OF - ARI) Peralta helped power the Diamondbacks to a 4-3 extra inning win over the Nationals on Saturday. The veteran was 3 for 4 with two home runs, two RBI, and two runs scored. So far in 2018 he has been a stud, sporting a .302/.378/.477 line, with five home runs, 16 RBI and 15 runs scored. A good bit of his success can be attributed to his 40% hard contact rate which is up nearly 9% from 2017, and also is a career high. His .373 wOBA is also a career high, and speaks to the amount of extra base hits he is putting up. He figures to cool at some point, so he could make for a sell high candidate. Patrick Corbin (SP - ARI) Corbin pitched well Saturday in the Diamondbacks 4-3 loss, however, it was a down start by his high standards to begin the 2018 season. In 6.2 innings, the hurler allowed three earned runs on seven hits, while striking out seven and issuing just one free pass. In six starts, the 28 year old is sporting a 2.25 ERA, to go along with an eye popping 55:7 strikeout to walk ratio. Currently, he is the league leader in xFIP with 1.72, which indicates there are no signs of slowing down. Could there be a Cy Young in his future? Either way, he will be a fun arm to watch in 2018. Howie Kendrick (2B - WAS) Kendrick kept up his hot hitting in the Nats 4-3 loss to the Diamondbacks Saturday. The 34 year old had just one hit on the day, but it was a solo homer, giving him four on the year. In addition to the power surge, he is slashing .301/.333/.527 with 11 RBI and nine runs. Kendrick has hit in a few different places in the top half of the Nationals lineup, but just keeps on contributing, as his 131 wRC+ illustrates. Kendrick is making a case to be owned in every league, and makes for a nice add while he's hitting. Cody Bellinger (1B - LAD) The Dodgers young slugger had a big day at the plate in the Dodgers 15-6 trouncing of the Giants Saturday. 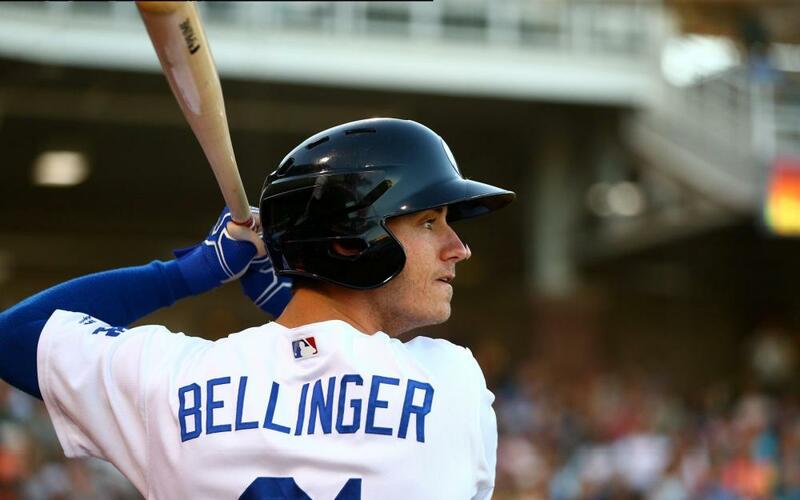 Bellinger went 3 for 5 with three RBI and three runs scored on the day. Currently he is sporting a .289/.352/.474 slash with three homers, 12 RBI and 21 runs scored. There isn't much to say about him, as we saw his talent on display from the minute he got the call in 2017. It shouldn't be too much of a stretch to see him hit 40 homers and drive in 100 runs and provide value for where he was drafted.